After opening the cover of Decorate Fearlessly, every page I turned was like opening a precious jewel box. Filled with rooms from many designers we know so well and also many whose work I was unaware of until now, I was amazed at the scope of this project! A stunning work of art, "Seven Horses" by Jean de Merry is the soul of this former ballroom in a Beaux Arts mansion in Pacific Heights. 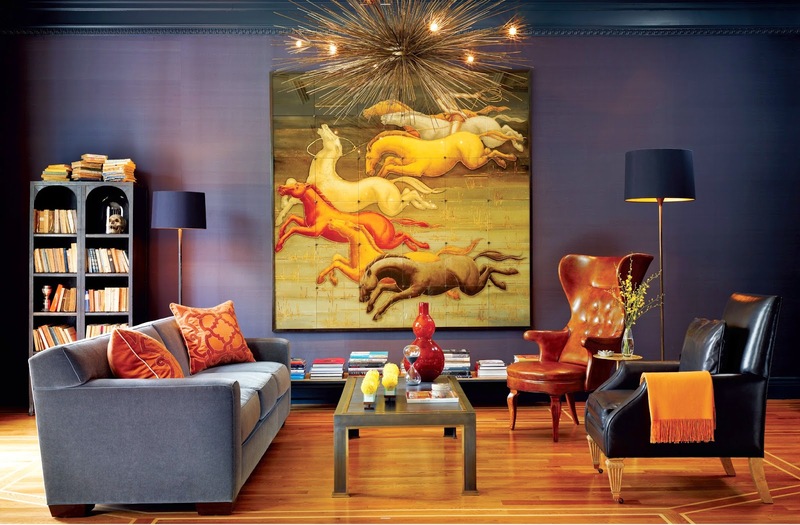 Jeffrey De Sousa envelopes us in deep indigo and splashes of orange to complement the rich floors. 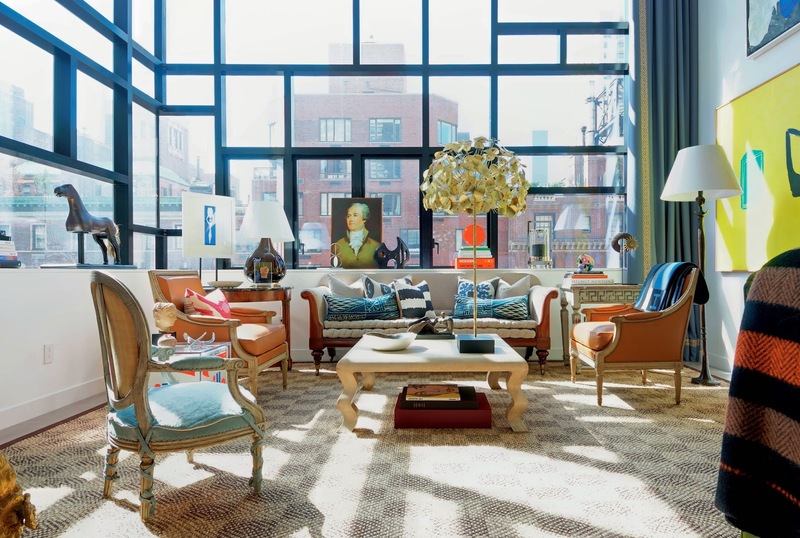 Eric Cohler's Manhattan living room is immersed in a glowing light which lands on Jonathan Adler's Tree of Life sculpture and many other contemporary works of art. His collection of period furnishings become even more notable, and we see that walls of windows do not deter from displaying fine art and furniture. 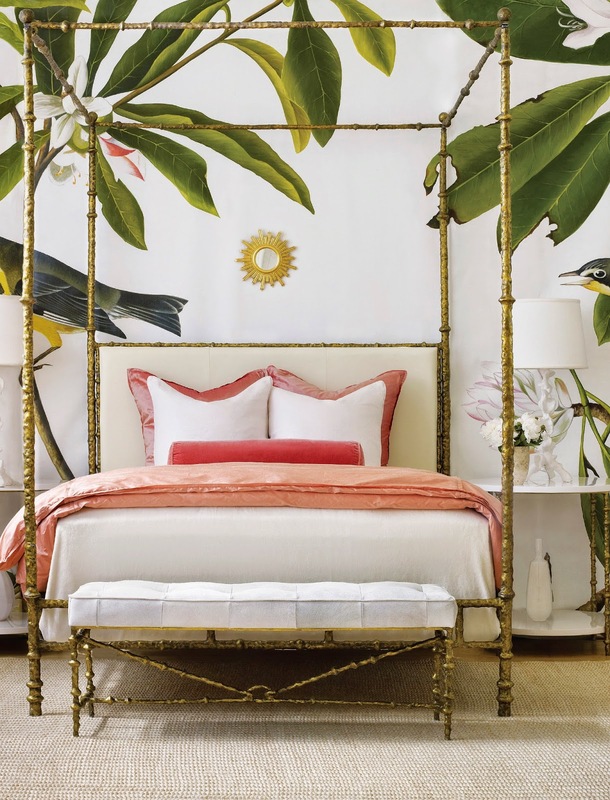 A huge tropical mural turns this green, coral and gold bedroom into a tropical retreat year round. Designers Kate McIntyre and Brad Huntzinger work this magical illusion without overpowering the room, by adding several delicate touches. An illusion of utopia exists in this pool house in The Hamptons by the esteemed Alessandra Branca. 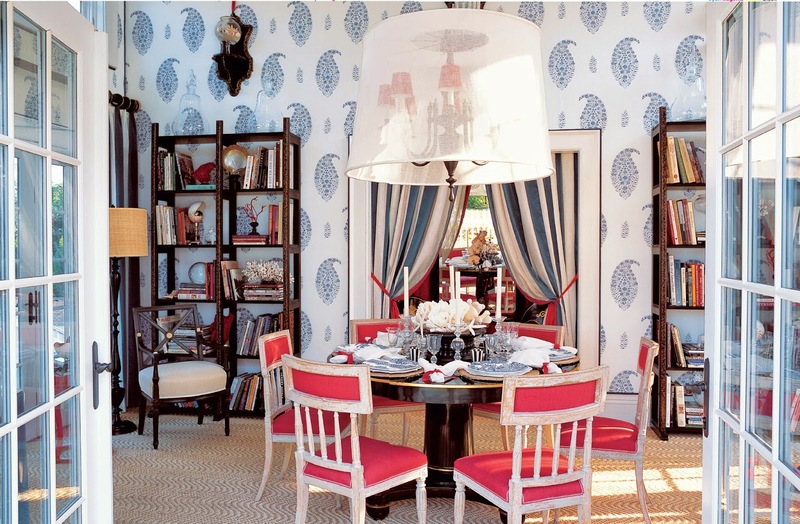 She treats us to a fresh mix of blue and white paisley wall covering with a mix of japanned bookshelves , directoire chairs and seashells abound, anchoring it all with a natural sisal rug. About the author: Susanna is one of those Renaissance women who can accomplish anything she sets her mind to. She helped launch Elle Decor Magazine as the Interior Design Manager, later becoming Special Projects Manager at House and Garden. She is now the author of seven spectacular books, as well as a regular contributor to 1st Dibs, writing features on some of the world's most renowned tastemakers. 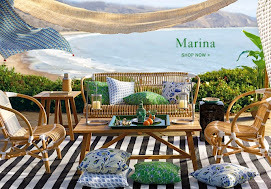 This past year or so I have come to know Susanna even more through the lifestyle videos she presents with Stacey Holston Bewkes through Stacey's blog site Quintessence. (One of my favorites is Designers and their Dogs) Find the links to Susanna's accomplishments, videos, etc at her site Susanna Salk. 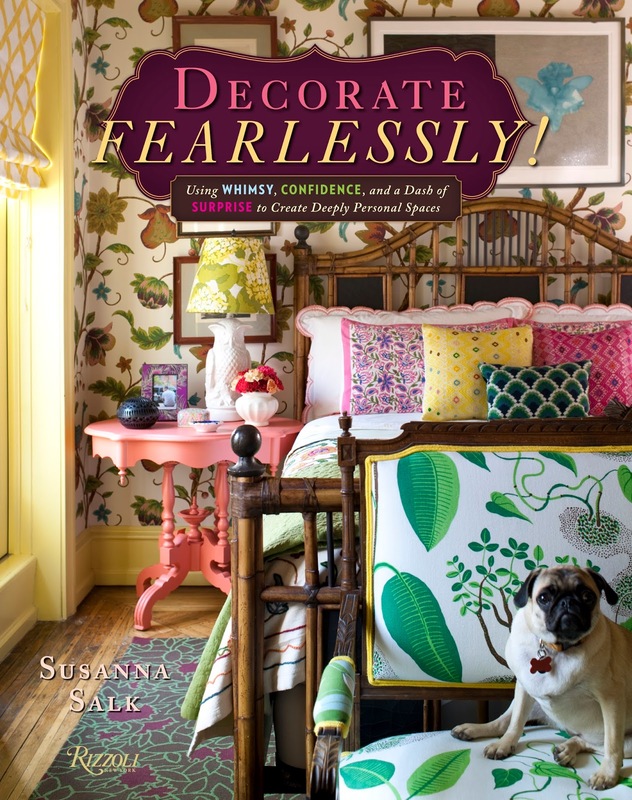 Please purchase Decorate Fearlessly as it is an incredible addition to your design library. You will enjoy it tremendously! Photo credits from top: Cover: John Gould Bessler, Cesar Rubio, Yale Wagner, Mathew Williams, Don Freeman for New York Cottages and Gardens, Oly,Thibault Jeanson. Image of Susanna Salk by John Gruen. To my friends and followers who support the arts my gratitude is endless! The horse painting is sheer perfection! I don't know if I could live with that much color but I do love it! FAbulous!!! 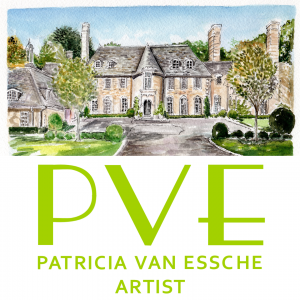 Love her style and eye for design!! Hi Karena. This is a superb post. I agree, Susanna is amazing. I love her work with Stacey. Oh this book looks amazing! Everything looks so beautiful! That Hamptons pool house??! Love it! And the tropical bedroom??! Gorgeous! I really need to get this book! this book is now on my list! thanks for the review. I love it that you are on the Thursday blog hop, Karena! These pictures and the book look awesome! Looks to be right up my alley!Which reminds me your last book recommendation I did not BUY!Must get that one too! Those designs are bold, but I love it. Please share at the Anything Goes linky, if you have not already. Have a great weekend. I am seriously drooling aver the tropical paper in that bedroom! Great book! Looks like a must have, Karena! Thanks for the preview. Have a lovely Easter weekend! I love her bold use of color. Looks like a great book...shes very talented! Thanks for the cliff notes, Karen. Oh dear so many books on my wishlist!! I am also a fan of Stacey and Susanna's videos. What amazing room decor!...the sculpture is wonderful and that horse painting is incredible...I love the front cover of the book!! !